The identification of alternative biocompatible magnetic NPs for advanced clinical application is becoming an important need due to raising concerns about iron accumulation in soft issues associated with the administration of superparamagnetic iron oxide nanoparticles (NPs). Here, we report on the performance of previously synthetized iron-doped hydroxyapatite (FeHA) NPs as a contrast agent for magnetic resonance imaging (MRI). The MRI contrast abilities of FeHA and Endorem® (dextran-coated iron oxide NPs) were assessed by 1H nuclear magnetic resonance relaxometry and their performance in healthy mice was monitored by a 7 Tesla scanner. FeHA applied a higher contrast enhancement and had a longer endurance in the liver with respect to Endorem® at iron equality. Additionally, a proof of concept of FeHA use as scintigraphy imaging agent for positron emission tomography (PET) and single photon emission computed tomography (SPECT) was given labeling FeHA with 99mTc-MDP by a straightforward surface functionalization process. Scintigraphy/x-ray fused imaging and ex vivo studies confirmed its dominant accumulation in the liver, and secondarily in other organs of the mononuclear phagocyte system. 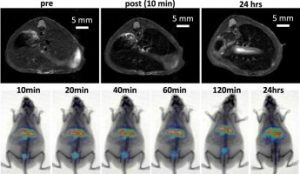 FeHA efficiency as MRI-T2 and PET-SPECT imaging agent combined to its already reported intrinsic biocompatibility qualifies it as a promising material for innovative nanomedical applications. The ability of iron-doped hydroxyapatite nanoaprticles (FeHA) to work in vivo as imaging agents for magnetic resonance (MR) and nuclear imaging is demonstrated. FeHA applied an higher MR contrast in the liver, spleen and kidneys of mice with respect to Endorem®. The successful radiolabeling of FeHA allowed for scintigraphy/X-ray and ex vivo biodistribution studies, confirming MR results and envisioning FeHA application for dual-imaging. Acta Biomaterialia (2018) DOI:doi.org/10.1016/j.actbio.2018.04.040 LINK . Alternative drug delivery approaches to treat cardiovascular diseases are currently under intense investigation. In this domain, the possibility to target the heart and tailor the amount of drug dose by using a combination of magnetic nanoparticles (NPs) and electromagnetic devices is a fascinating approach. 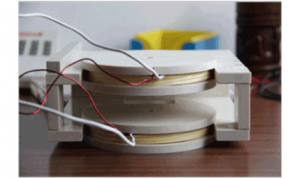 Here, an electromagnetic device based on Helmholtz coils was generated for the application of low-frequency magnetic stimulations to manage drug release from biocompatible superparamagnetic Fe-hydroxyapatite NPs (FeHAs). Integrated with a fluidic circuit mimicking the flow of the cardiovascular environment, the device was efficient to trigger the release of a model drug (ibuprofen) from FeHAs as a function of the applied frequencies. Furthermore, the biological effects on the cardiac system of the identified electromagnetic exposure were assessed in vitro and in vivo by acute stimulation of isolated adult cardiomyocytes and in an animal model. The cardio-compatibility of FeHAs was also assessed in vitro and in an animal model. No alterations of cardiac electrophysiological properties were observed in both cases, providing the evidence that the combination of low-frequency magnetic stimulations and FeHAs might represent a promising strategy for controlled drug delivery to the failing heart. The cardiovascular system plays a pivotal role in regulating and maintaining homeostasis in the human body. Therefore any alteration in regulatory networks that orchestrate heart development as well as adaptation to physiological and environmental stress might result in pathological conditions, which represent the leading cause of death worldwide. 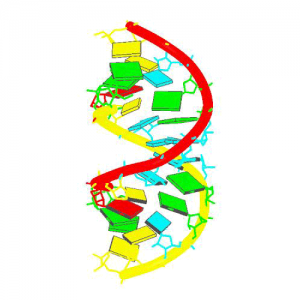 The latest advances in genome-wide techniques challenged the “protein-central dogma” with the discovery of the so-called non-coding RNAs (ncRNAs). Despite their lack of protein-coding potential, ncRNAs have been largely demonstrated to regulate the majority of biological processes and have also been largely implicated in cardiovascular disorders. This review will first discuss the important mechanistic aspects of some of the classes of ncRNAs such as biogenesis, mechanism of action, as well as their involvement in cardiac diseases. The ncRNA potential uses as therapeutic molecules, with a specific focus on the latest technologies for their in vivo delivery as drug targets, will be described. Peptides are highly selective and efficacious for the treatment of cardiovascular and other diseases. 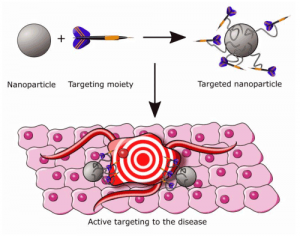 However, it is currently not possible to administer peptides for cardiac-targeting therapy via a noninvasive procedure, thus representing scientific and technological challenges. 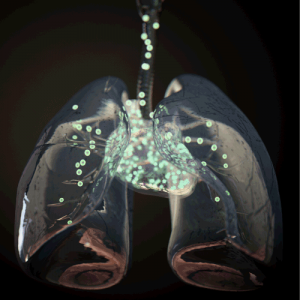 We demonstrate that inhalation of small (<50 nm in diameter) biocompatible and biodegradable calcium phosphate nanoparticles (CaPs) allows for rapid translocation of CaPs from the pulmonary tree to the bloodstream and to the myocardium, where their cargo is quickly released. Treatment of a rodent model of diabetic cardiomyopathy by inhalation of CaPs loaded with a therapeutic mimetic peptide that we previously demonstrated to improve myocardial contraction resulted in the restoration of cardiac function. Translation to a porcine large animal model provides evidence that inhalation of a peptide-loaded CaP formulation is an effective method of targeted administration to the heart. Together, these results demonstrate that inhalation of biocompatible tailored peptide nanocarriers represents a pioneering approach for the pharmacological treatment of heart failure. Mechanical function of the heart during open-chest cardiac surgery is exclusively monitored by echocardiographic techniques. However, little is known about local kinematics, particularly for the reperfused regions after ischemic events. 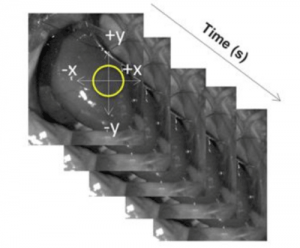 We report a novel imaging modality, which extracts local and global kinematic parameters from videos of in situ beating hearts, displaying live video cardiograms of the contraction events. A custom algorithm tracked the movement of a video marker positioned ad hoc onto a selected area and analyzed, during the entire recording, the contraction trajectory, displacement, velocity, acceleration, kinetic energy and force. Moreover, global epicardial velocity and vorticity were analyzed by means of Particle Image Velocimetry tool. We validated our new technique by i) computational modeling of cardiac ischemia, ii) video recordings of ischemic/reperfused rat hearts, iii) videos of beating human hearts before and after coronary artery bypass graft, and iv) local Frank-Starling effect. In rats, we observed a decrement of kinematic parameters during acute ischemia and a significant increment in the same region after reperfusion. We detected similar behavior in operated patients. This modality adds important functional values on cardiac outcomes and supports the intervention in a contact-free and non-invasive mode. Moreover, it does not require particular operator-dependent skills. Rusconi F, Ceriotti P, Miragoli M, Carullo P, Salvarani N, Rocchetti M, Di Pasquale E, Rossi S, Tessari M, Caprari S, Cazade M, Kunderfranco P, Chemin J, BangML, Polticelli F, Zaza A, Faggian G, Condorelli G, MD, Catalucci D.
L-type calcium channels (LTCCs) play important roles in regulating cardiomyocyte physiology, which is governed by appropriate LTCC trafficking to and density at the cell surface. Factors influencing the expression, half-life, subcellular trafficking, and gating of LTCCs are therefore critically involved in conditions of cardiac physiology and disease.Yeast 2-hybrid screenings, biochemical and molecular evaluations, protein interaction assays, fluorescence microscopy, structural molecular modeling, and functional studies were used to investigate the molecular mechanisms through which the LTCC Cavβ2 chaperone regulates channel density at the plasma membrane. On the basis of our previous results, we found a direct linear correlation between the total amount of the LTCC pore-forming Cavα1.2 and the Akt-dependent phosphorylation status of Cavβ2 both in a mouse model of diabetic cardiac disease and in 6 diabetic and 7 nondiabetic cardiomyopathy patients with aortic stenosis undergoing aortic valve replacement. Mechanistically, we demonstrate that a conformational change in Cavβ2 triggered by Akt phosphorylation increases LTCC density at the cardiac plasma membrane, and thus the inward calcium current, through a complex pathway involving reduction of Cavα1.2 retrograde trafficking and protein degradation through the prevention of dynamin-mediated LTCC endocytosis; promotion of Cavα1.2 anterograde trafficking by blocking Kir/Gem-dependent sequestration of Cavβ2, thus facilitating the chaperoning of Cavα1.2; and promotion of Cavα1.2 transcription by the prevention of Kir/Gem-mediated shuttling of Cavβ2 to the nucleus, where it limits the transcription of Cavα1.2 through recruitment of the heterochromatin protein 1γ epigenetic repressor to the Cacna1c promoter. On the basis of this mechanism, we developed a novel mimetic peptide that, through targeting of Cavβ2, corrects LTCC life-cycle alterations, facilitating the proper function of cardiac cells. Delivery of mimetic peptide into a mouse model of diabetic cardiac disease associated with LTCC abnormalities restored impaired calcium balance and recovered cardiac function. We have uncovered novel mechanisms modulating LTCC trafficking and life cycle and provide proof of concept for the use of Cavβ2 mimetic peptide as a novel therapeutic tool for the improvement of cardiac conditions correlated with alterations in LTCC levels and function. Bio-Inspired Negatively-Charged Calcium Phosphate Nanocarriers for Cardiac Delivery of MicroRNAs. Di Mauro V, Iafisco M, Salvarani N, Vacchiano M, Carullo P, Ramírez-Rodríguez G, Patrício T, Tampieri A, Michele Miragoli M, Catalucci D.
To develop biocompatible and bioresorbable negatively charged calcium phosphate nanoparticles (CaP-NPs) as an innovative therapeutic system for the delivery of bioactive molecules to the heart. CaP-NPs were synthesized via a straightforward one-pot biomineralization-inspired protocol employing citrate as a stabilizing agent and regulator of crystal growth. CaP-NPs were administered to cardiac cells in vitro and effects of treatments were assessed. CaP-NPs were administered in vivo and delivery of microRNAs was evaluated. CaP-NPs efficiently internalized into cardiomyocytes without promoting toxicity or interfering with any functional properties. CaP-NPs successfully encapsulated synthetic microRNAs, which were efficiently delivered into cardiac cells in vitro and in vivo. CaP-NPs are a safe and efficient drug-delivery system for potential therapeutic treatments of polarized cells such as cardiomyocytes.